Should Globalisation Get Pulled Over for Speeding? If you’re reading this, your life is probably better because of globalization. Consider the device on which you are reading this post. For the first time in human history, most of us on this planet are touched by people, ideas, work and products from everywhere. The miracle of cheap airfare takes us to the remotest corners of the earth. We know more and are more interested about people who are different from us. For both of us – father and daughter – our careers, friendships and hopes depend on an open world. A globalized world. Both of us still believe this is where our future opportunities will be found. We think this is true for everyone on the planet. We are worried that this system is crashing. Globalization is crashing into old ideas and ugly prejudices. More than that, it is crashing into politicians without the creativity to govern the new transnational spaces where globalization happens. Don’t get us wrong. The problems are real, too. The Great Recession of 2008 was thanks to over clever avarice of unregulated financiers. BREXIT, sold with false information and emotional cheap shots, is a now reality. The country that dominated the planet for centuries lost its patience for a few decades of regional cooperation. Seriously? 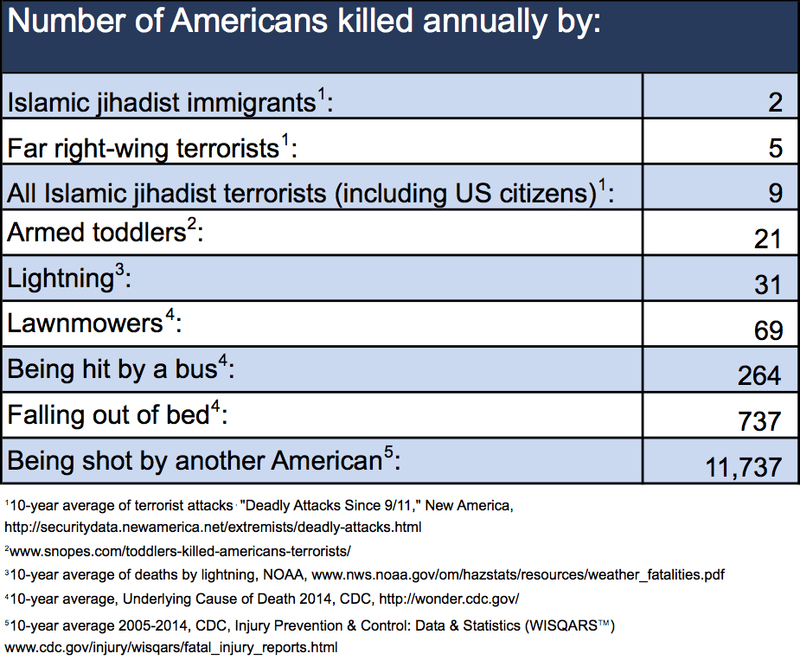 The World War of Terror has ruined millions of lives and is invading the western psyche (in case you are worried about being a victim of terror, please note that a total of 32,675 Americans died in motor vehicle crashes in 2014). Fear has come unstuck from real danger. These characters bidding to shape our future, like Donald Trump, Nigel Farage, Geert Wilders and Marine La Penn want to drive ships of state their eyes firmly fixed on the rear view mirror. Their ideas come from the bottom of the brain stem where the fight or flight instinct lives. To make things worse, today’s evil supervillain, the self-appointed Caliph al Baghdadi and his so-called Islamic state are trying and succeeding to scare us out of our wits. If they win, walls are going up. Opportunities that you may take for granted – like global backpacking and international consulting – these may start to disappear. Globally, divisions the size of mountain ranges are rising between those who gain from globalization and those that are left behind – or hurt. But globalization shouldn’t and needn’t be a zero sum game. We need globalisation to move at a speed we can understand and talk about. We think that it is time to talk about the attitudes we need to protect the promise of globalization and its potential to build a better future for everyone from freelance programmers to prairie farmers to Himalayan Sherpas. In our next post we will talk about these attitudes: putting our democracies to work; better accountability for global business; calling out racism and religious intolerance and; giving peace a chance. We are so often told – and it is true – that you never get a second chance to make a good first impression. It is equally true that last impressions are those that endure in the memory of others when we are absent. In our rotational lives as diplomats, the way we take our leave is how we truly convey that we will continue to care about our friends, even after we have left. In 1996 I was preparing to leave from my second posting which was in Addis Ababa. It was an exhilarating and exhausting assignment. As a junior diplomat I was responsible for Canada’s political, trade and consular affairs in Ethiopia, Sudan, Eritrea and Djibouti. It had been a rewarding three years, but it was time for me and my family to start a new chapter. I had been diligent in my professional and official work. However, it wasn’t until I was in the airport ready to depart the country that I was able to recognize an error I committed on the human side. A man I had worked with saw me at the airport and asked me a question that I was unable to properly answer. It hit me like a ton of bricks. I had insulted him by failing to pay him the courtesy of a respectful farewell. In my mind, I had been a responsible bureaucrat, focusing on the work I did for my country instead of myself as an individual. I thought it was better to stick to my work right to the end and avoid the expense and effort of a good-bye reception. My behaviour sent the signal that I placed a low value on my relationships. The final thing I learned after 30 years is that people remember you more by how you said goodbye, than how you said hello. New ethical supply chains that connect small scale miners in conflict affected countries to smart phone consumers and cut out the warlord show that the international system is learning to do a better job of managing the extractive sector, but it has been a long process. The President of Resolve, Stephen D’Esposito, and I have just published an article on Resolve’s work on the supply chain frontier entitled Conflict Minerals, Ethical Supply Chains and Peace in this month’s journal of the Alliance for Peacebuilding, Conflicts of the Future. You can also read about Motorola’s contribution through closed supply chains in the Democratic Republic of the Congo in Mike Loch’s article Taking the Conflict out of Conflict Minerals. Peace, security and the global extractive sector have been increasingly central to Canada’s international policy. Looking back to the 90’s we had the disturbing example of a Canadian company producing oil on the front lines of the Sudanese civil war. Today, it is hard to imagine any major multinational insisting that its commercial interests could trump human rights considerations. Since that time there have been important milestones in pulling the sector towards better standards of responsibility. In the terrible period of instability in the DRC after the Rwandan genocide, the UN Security Council examined the role of natural resources in conflict for the first time, but without real mechanisms to do anything about it. The Kimberley Process to Ban Conflict Diamonds (which I had the honour to chair in 2004) transformed the global trade in rough diamonds through establishing criminal penalties for any international transactions in uncertified rough diamonds. More recently, the UN has adopted guidelines for business and human rights. In 2012 the Securities and Exchange Commission required listed companies to report on their use of conflict sensitive minerals from the DRC region. Last year, the OECD has put forward guidelines on conflict free due diligence for sensitive minerals, guidelines which are not restricted to the Central Africa region and have particular relevance for Latin America. These milestones are a credit to the work of leaders in all sectors – government, industry and civil society. More than ever, resource diplomacy needs to accompany growth of the sector. This means voluntary, multi-sector interventions across the supply chain to prevent conflict and harness the social development potential of the extractive sector. I invite you to read our articles and very much look forward to your comments. Diplomacy was born in the rarefied upper reaches of aristocracy when monarchs governed through their courts and when power and aristocratic station were two names for the same thing. Canada is surely among the most egalitarian societies on the planet. Moreover, our culture has a strong current of anti-elitism running through it. But when we enter into the diplomatic and high-level international policy profession, our job often becomes synonymous with entry into the upper strata of the elite in our host countries. There is tension and hazard here. Whether you are a diplomat or a country manager for a multinational, the natural habitat is the upper crust. This seductive phenomenon is more acute in societies marked by inequality and class division. Let’s face it, people are uncomfortable mingling across social divisions. Mingling upwards takes people out of their comfort zone and makes some worry about the risk of rejection. It’s hard for most people to reciprocate the classy and fancy hospitality that high level diplomats and international executives are expected to offer. A real effort is needed to make friends across social divisions. International policy professionals need to be aware of this peculiar workplace hazard. There is a risk that your ego can inflate past your personal attributes in order to meet the level of flattery that your powerful position attracts. In my experience, this ego expansion is obvious to our compatriots. It annoys them. Like an open fly, nobody will tell you if they see it, except your spouse or best friend – after it is too late. So we better be very self-aware. However, we also need to be skilled in multiple modes of behaviour. Our jobs require that we conduct ourselves with dignity, confidence and comfort in high level, formal and public occasions. This is being a good steward of the prestige of our office. Then we need to return safely to the ground. Good diplomats are authentic people at the same time.